“My father was killed by the dictatorship and was buried in Perus.” This deposition from Grenaldo da Silva Mesut, a physical education professor, is just one of many from the family members of 42 disappeared political activists that could be interred in Dom Bosco Cemetery, located northwest of São Paulo in the Perus neighborhood and used to bury victims of state repression. Discovered in 1990 during mayor Luiza Erundina’s administration, the clandestine grave contained 1,049 remains, all unidentified. 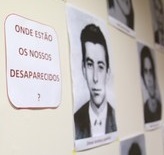 Among the unidentified skeletons are disappeared political activists, victims of the Esquadrão da Morte—the infamous Death Squad of rogue police active in the 1960s and 1970s—, and children who died after an outbreak of meningitis struck São Paulo in the early 1970s, an epidemic suppressed by the dictatorship. The search for the whole story behind the cadavers in the Perus grave is threatened. After decades of abandonment, the bones and the sacks that they are wrapped in are moldy and in a very poor state of conservation. If the government does not speed up the material analysis, the slow progress of the fungi will end up devouring the last genetic remnants in the collagen of the bones, which would make DNA tests impossible. Despite the feeling of urgency among the victims’ families, they are confronted with government claims of a lack of resources. For 23 years, from 1990 to 2013, the remains circulated between public agencies. Under the watch of the University of Campinas in the 1990s, the skeletons were kept in open sacks, scattered around a room without climate control and exposed to flooding. In 2001, custody passed to the University of São Paulo, and the bones were sent to the General Ossuary of Araçá Cemetery, where they were also at risk of being contaminated and degraded. Renovations were made, but the ossuary continued to have insufficient climate control. 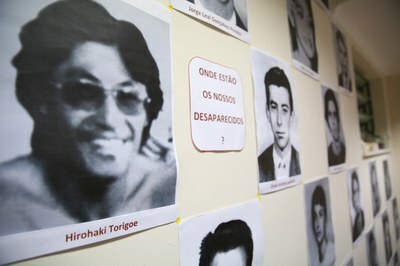 Until today, only three remains have been identified: the former political prisoners Dênis Casemiro and Frederico Eduardo Mayr, at the beginning of the 1990s, and Flávio de Carvalho Molina, in 2005, after his mother Maria Helena Molina filed legal proceedings against the federal government and the Federal Public Ministry completed a DNA test. Video: Bones from Mass Grave in Perus Rotting Due to Negligence. Only in September of 2013, when an accord was reached between the Secretary of Human Rights of the Presidency, the Municipal Secretary of Human Rights in São Paulo and the Federal University of São Paulo (UNIFESP), did systematic analyses begin to be conducted. With funds from the Ministry of Education, a house in the southern zone of São Paulo was converted into a forensic anthropology laboratory at UNIFESP. The government contracted Brazilian and Peruvian professionals, and 433 boxes with the material were transferred to the laboratory. Of these, 112 were analyzed between October and December of 2014. 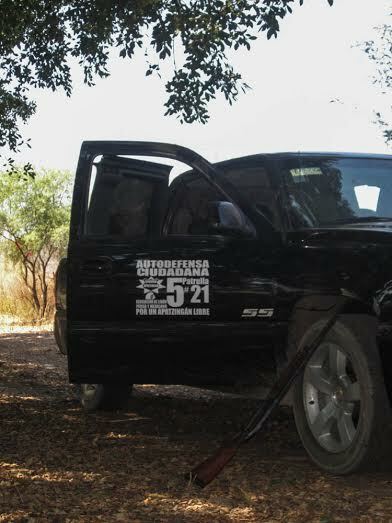 Six remains were found with blunt wounds and three with firearm wounds, but they still lack DNA identification. The remaining 638 boxes wait at the Araçá Cemetery. “The boxes are moldy because only the lower level of the house was renovated and adapted,” denounced Maria Amélia Teles, founder of the Commission for Families of the Killed and Disappeared and founder of the State Truth Commission of São Paulo. “What is more, the number of professionals is few and we have urgent need of the bones’ identification. For too long, family members have been dying, making it even more difficult to identify the disappeared.” Amelinha, as she is known, also fears the budget cuts announced by the government. The human rights minister, Ideli Salvatti, assured CartaCapital that the cuts would not hamper the work. “Just like last year, when the Secretary of Human Rights budget lacked a rubric for experts and we found a solution, I have no doubt that we will fulfill our commitment to the families,” she guaranteed. “Now we have to await congressional approval of the 2015 budget to continue with our planning.” According to the minister, the renovation of the upstairs of the house is a priority. In the race against time, 17 employees work to analyze the material. DNA will be extracted from the remains with the greatest probability of being disappeared political activists, but only after the verification of the 1,049 skeletons. 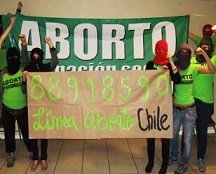 Though the operation prioritizes the identification of disappeared political activists, the families of victims of extermination groups or whose children died as a result of sanitation failures by the dictatorship could also solicit tests on the bones. With so many former political prisoners in their midst, it would be inexcusable for a Workers’ Party (Partido dos Trabalhadores—PT) administration to be responsible for the total and definitive loss of a crucial part of the memory of the regime’s atrocities.